The Supreme Court on Thursday relaxed the bail conditions of Sergeant Major Salvatore Girone, one of the two Italian Marines accused of murdering Indian fishermen off the coast of Kerala in 2012. A vacation bench comprising Justice Prafulla C. Pant and Justice D.Y. Chandrachud permitted Girone to go to his country till the International Arbitral Tribunal decides the jurisdictional issue between India and Italy. The Bench reportedly sought a fresh undertaking from Italian Ambassador in the capital stating that if the International Arbitral Tribunal decides jurisdictional issue in India’s favour then he will be responsible for bringing back the marine within one month. During the hearing, Additional Solicitor General P.S. Narasimha informed the Court that the Centre supports Girone’s application on “humanitarian grounds” if he complies with the conditions imposed by the Court. Girone had demanded relaxation of the bail conditions through an application filed through lawyer Jagjit Singh Chhabra. The application had also sought a direction that Ministry of Home Affairs and the Foreigners Regional Registration Office be asked to provide him with the “necessary residential permit and exit visa”. Allowing the application, the Bench imposed four conditions on Girone. Firstly, that he is required to report to the Police Station in Italy on first Wednesday of every month and the Italian Embassy has to inform the Indian Embassy in Rome about the same. Secondly, that Girone shall neither tamper with any evidence, not influence any witness in the case. Thirdly, it demanded an undertaking from Girone stating that he will remain under the jurisdiction of the Supreme Court. Lastly, if any of the conditions is found to have been violated, his bail application would be cancelled. 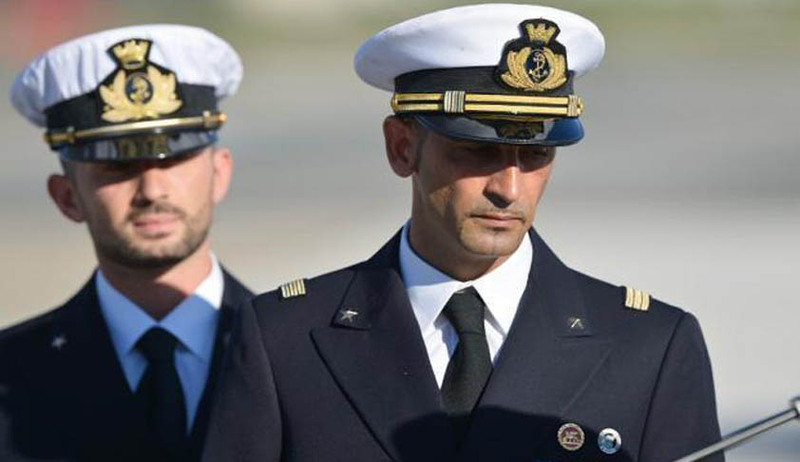 The relaxation was demanded in wake of the April 29 order of the International Tribunal for the Law of the Sea (ITLOS), urging India and Italy to cooperate in relaxing the bail conditions so that Girone could return to his country during the pendency of the arbitration proceedings before it. Italy had also accepted that Girone would remain under the jurisdiction of the Courts in India, if he is allowed to return to Italy. "Mr. P.S. Narasimha, Additional Solicitor General states that the Union of India has no objection subject to what has been stated in the Reply Affidavit filed on 24th May, 2016. “That accordingly, for India to be in compliance with the Order of the Tribunal, binding on it under international Law, the Union of India respectfully prays to this Hon'ble Court to grant the prayer in Republic of Italy's Application to vary the existing bail conditions of Sergeant Girone to enable him to remain on bail in Italy during the Annex VII arbitration as prescribed by the Tribunal, and prescribe the additional bail conditions referred to in paragraph 5 above”. (g) Ambassador of Italy shall file an undertaking on affidavit in these proceedings prior to the departure of Sergeant Girone stating that Sergeant Girone shall be made to return to India within a period of one month of the decision or direction of the Arbitral Tribunal requiring him to do so or as directed by the orders of this Court." The two marines were part of the team escorting the Italian-flagged oil tanker Enrica Lexie. They had been arrested and prosecuted for opening fire on fishermen they mistook to be pirates with automatic weapons in 2012. The second marine, Massimiliano Latorre was granted a period of leave in Italy for medical treatment after he suffered a stroke while in New Delhi in 2014. He was granted permission by the Supreme Court and the permission was extended for 6 months on July 13, 2015. He is however still in Italy. Girone was also on bail, but has been directed by Supreme Court not to leave Delhi. He is staying at the Italian embassy. The arrest of the two marines has damaged wider relations, contributing to the collapse of a European Union-India summit planned during Prime Minister Narendra Modi’s visit to France and Germany last year. In April 2012, Rome paid $190,000 to each of the victims’ families as compensation. In return, the families dropped their cases against the marines, but the state’s case has yet to come to trial. In August last year, India had rebuffed Italy’s offer to pay 600,000 Euros, roughly Rs. 4.4 crore, to secure protection from any legal action against the two Italian marines. India had told Italy that “murders are not compensable offences”. You may read the LiveLaw story here. You may read a summary of the proceedings before ITLOS, here and here.